Columba Industries go through cycles of collaboration among product design, manufacturing, and cost management to reach optimal design and lowest product cost. In order to accomplish this, the cost analysis for different option of materials and processes must be real time. We use comprehensive cost models to accurately predetermine the cost of the finished product, and give real-time cost options to customers during the design phase. 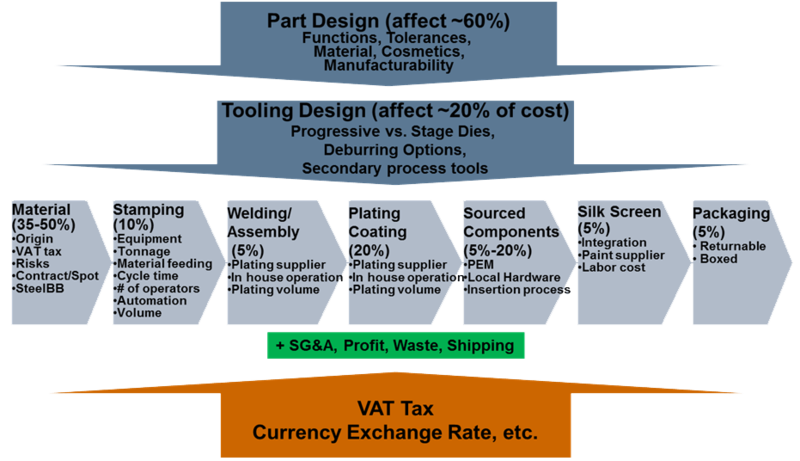 Study of industrial product cost models show that majority of the product costs are locked in once the product design is finalized. 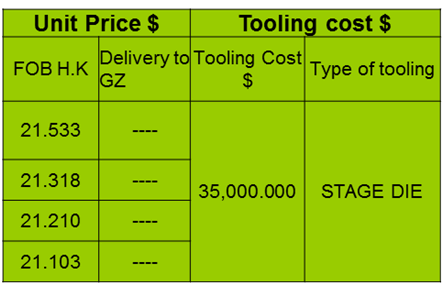 In order to design cost out from the get go, Columba Industries invests great resources to develop tools that aid real time analysis of costs of materials and manufacturing processes. Our database of cost models and cost drivers, and agreement of pricing models with our strategic partners, allow us to give customers feedbacks quickly on cost impact of any parameter changes. This core competency proves to be invaluable for our customers to achieve maximum result with minimum resources.